Caribou police arrested Jonathan Emmert-Keenan, 21, of Caribou Sunday and charged him with burglary, criminal trespass, and refusal to submit to arrest or detention. 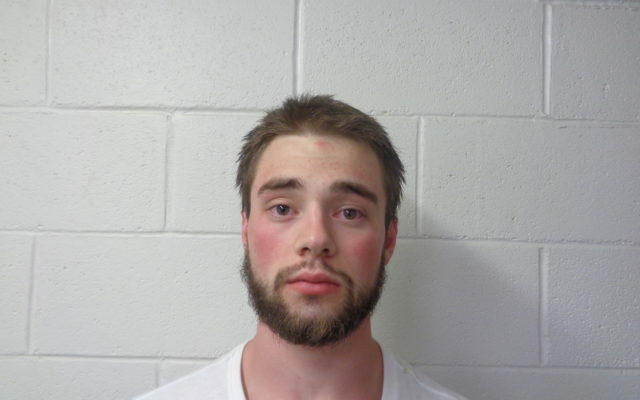 CARIBOU, Maine — Caribou police arrested Jonathan Emmert-Keenan, 21, of Caribou Sunday and charged him with burglary, criminal trespass, and refusal to submit to arrest or detention. Someone in the home called police at about 10:11 a.m. Sunday to report that a burglar was in the residence, according to a release issued Monday by Caribou Police Chief Michael Gahagan. Gahagan reported that when officers arrived and entered the residence, the suspect was still in the home. The man, later identified as Emmert-Keenan, ran out of the home but the officers quickly chased him down and apprehended him a short distance away, according to the release. The release indicates that Emmert-Keenan has a “lengthy criminal history and was on probation at the time of his arrest. He is scheduled for an Oct. 4 cout date.